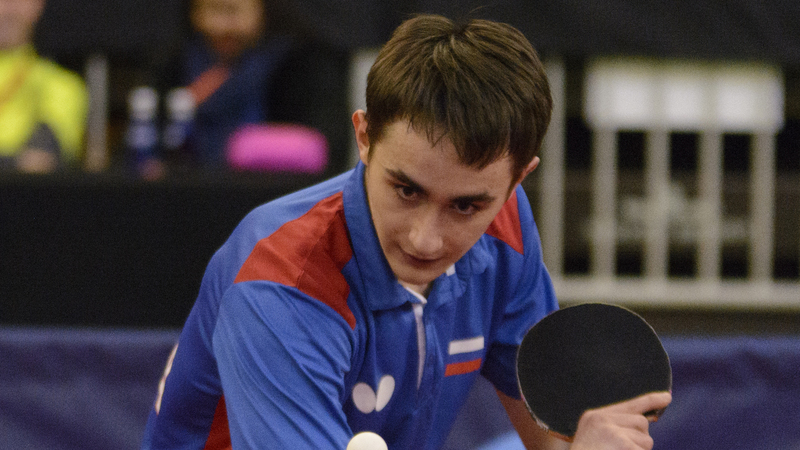 There's plenty coming your way on day two of the 2018 ITTF Challenge Spanish Open with multiple rounds of exciting action from the senior competitions and two gold medals also up for grabs on Saturday 31st March. Here's a look at the day's programme in Guadalajara. Both the Women’s Singles and Men’s Singles events will feature three rounds of action on the second day of play, starting from the Round of 16 stage. Soo Wai Yam Minnie could be heading into a potentially dangerous encounter with the second seed of the Women’s Singles category meeting Poland’s Natalia Partyka. Eight positions separate the two players in the seeding list and both enter the tie off the back of 4-1 victories in the opening round: The odds are stacked against her but can the no.10 seed produce a major shock? Fifth seed Saki Shibata required a big comeback effort in her first round match, beating Katarzyna Grzybowska-Franc in a match which went right down to the wire and has been rewarded with a tough fixture against Ni Xialian of Luxembourg. Ni Xialian, aged 54, continues to show that she still has what it takes to compete at the top-end of the sport and could cause her Round of 16 opponent a few problems. Japan’s Satsuki Odo got the better of Georgina Pota on the opening day of the main event, defeating the Hungarian at the first stage of the Women’s Doubles draw. Will it be the same outcome when the two players meet in Women’s Singles action or will it be revenge for third seed Georgina Pota? The Men’s Singles competition also has a couple of notable fixtures worth paying close attention to including an exciting head-to-head battle between Kim Minhyeok and Ng Pak Nam; in their previous encounter, which came two years ago in the Under 21 Men’s Singles contest at the 2016 ITTF World Tour German Open, it was Korea’s Kim Minhyeok who prevailed but in Guadalajara no.5 seed Ng Pak Nam will be determined to avoid the same outcome. Off the back of an excellent result against the host nation’s Jesús Cantero in the last 32, Frenchman Abdel-Kader Salifou resumes his campaign opposing young Russian defender Artur Abusev: The winner of the tie will earn a spot in the quarter-finals where either one of Korea’s Cho Seungmin or Moldova’s Andrei Putuntica will provide the opposition. There will also be two title matches on day two of the 2018 ITTF Challenge Spanish Open as the Under 21 Men’s Singles and Under 21 Women’s Singles categories draw to a close.